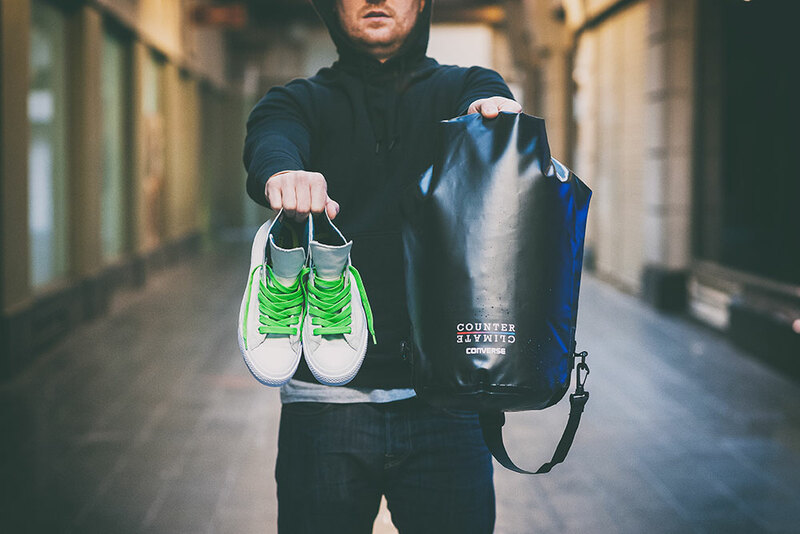 I had great fun testing out the latest tech from Converse dubbed 'Counter Climate'. 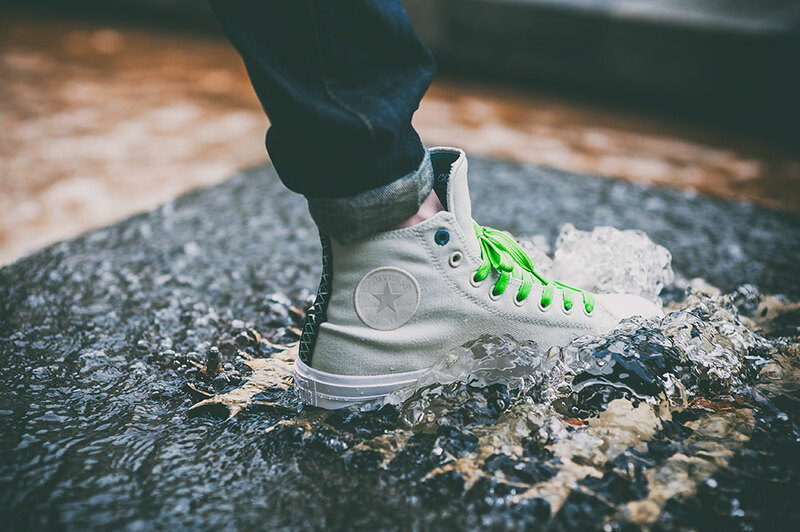 Basically wellies for a new generation. 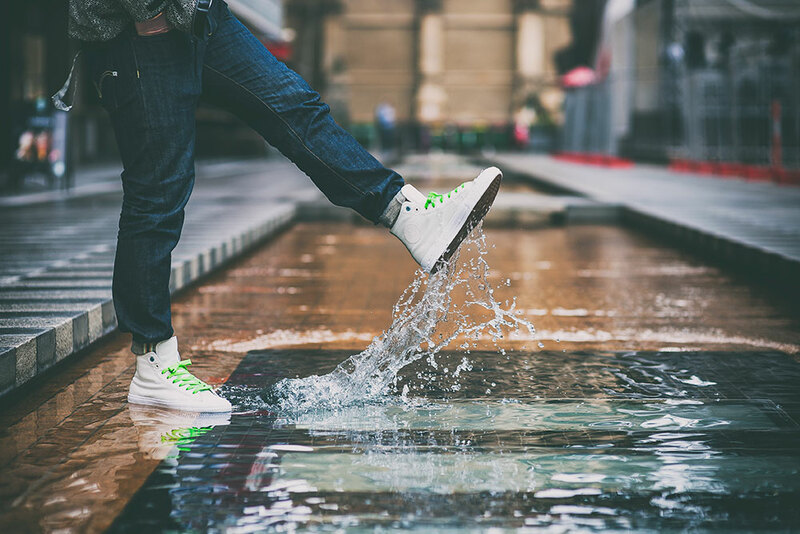 I have to say and I guess it is pretty obvious from my photos they definitely hit the mark when it comes to waterproofing. 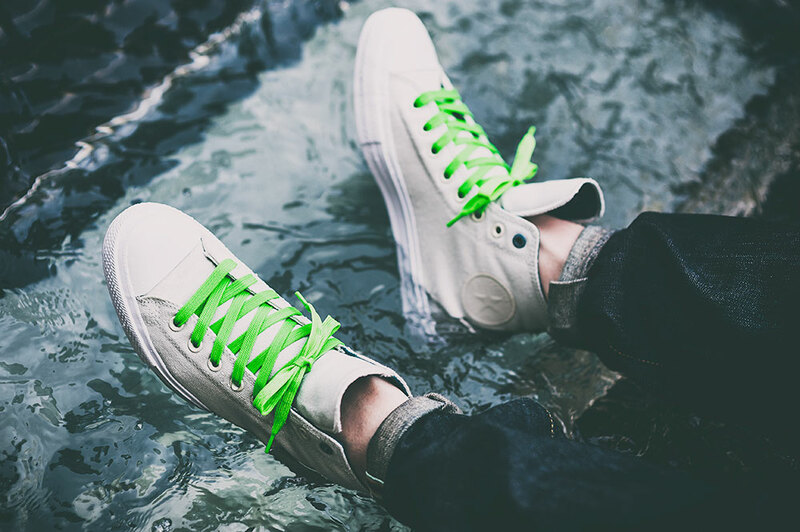 I road tested these pretty hard even to the point of fully submerging them in water and not a drop got in. 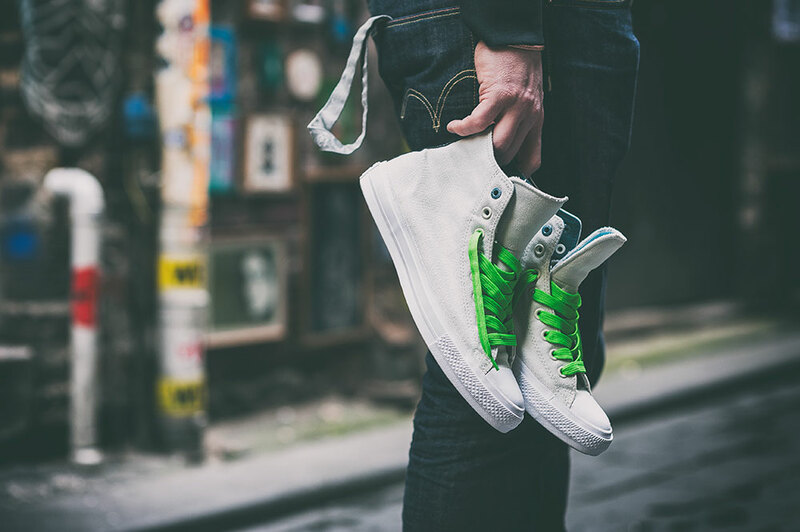 This is in part due to the 'shield canvas' technical materials used but also these Converse Chuck Taylor II high tops have a gusseted tongue. 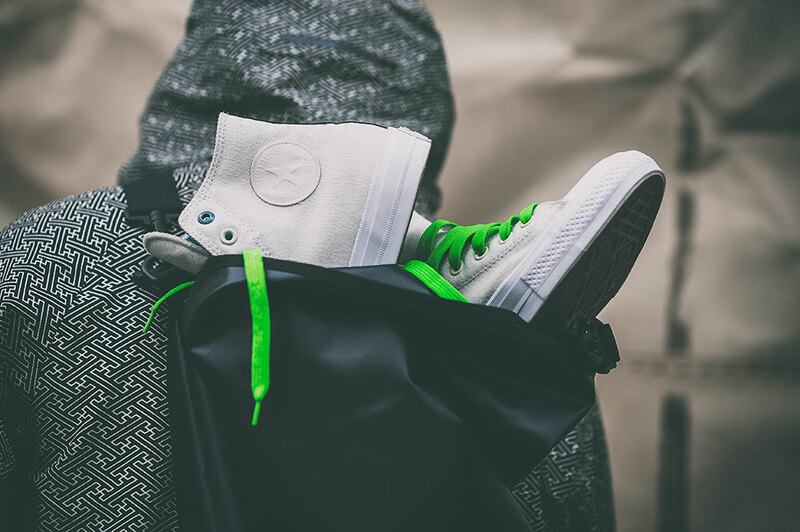 This is the kind of tongue you see in any decent work boot, which means it is is stitched all the way up to the cuff of the shoe creating a waterproof sock which your foot sits in, so even if water gets through the lace aglets it damn sure ain't getting into the shoe. 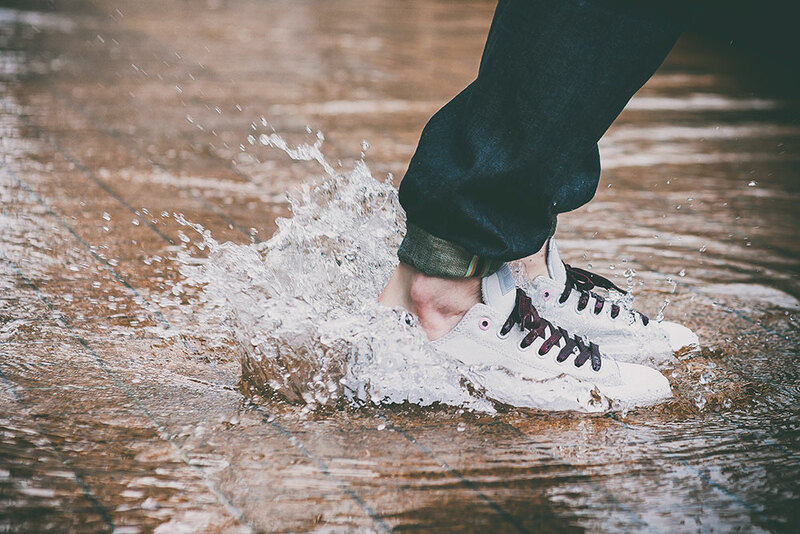 Obviously the low tops will stand up to pretty hard weather but just be mindful of water coming in the top of the shoe, something I neglected to pay attention to! 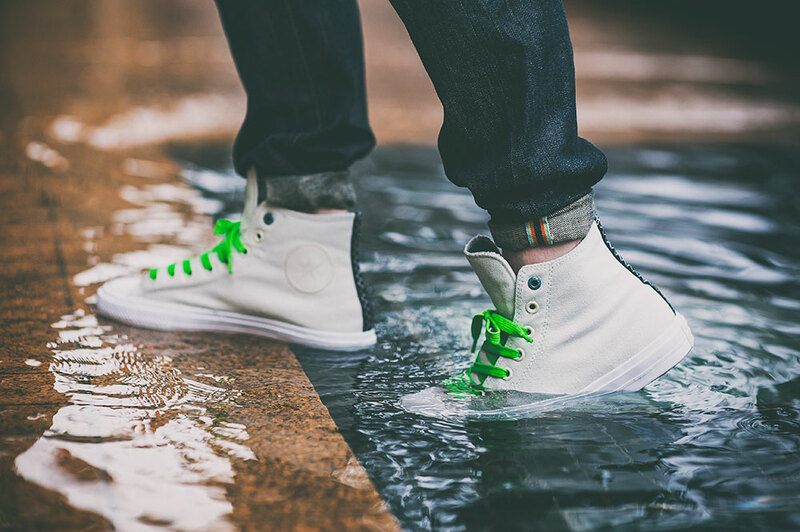 So if you are planning on jumping in puddles go for the high tops, but just for standard city use the low tops will serve the purpose of keeping you dry when you get caught in the rain. 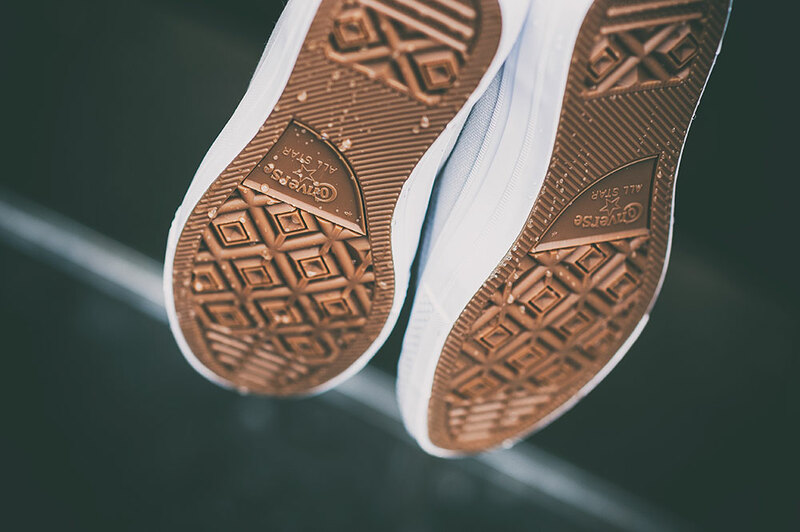 One final nice touch on these is the Nike Lunarlon insole, which really raises the bar in terms of comfort, there is not much Converse have not thought about with these bangers. 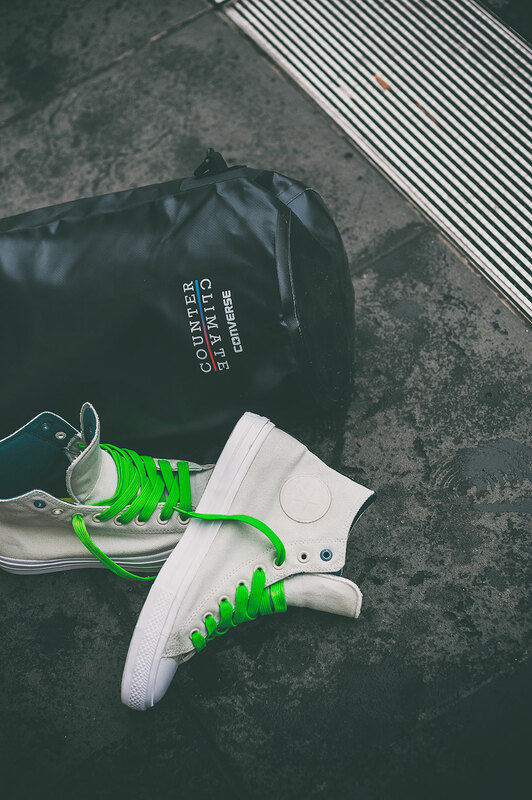 A superb and functional upgrade to a classic sneaker. 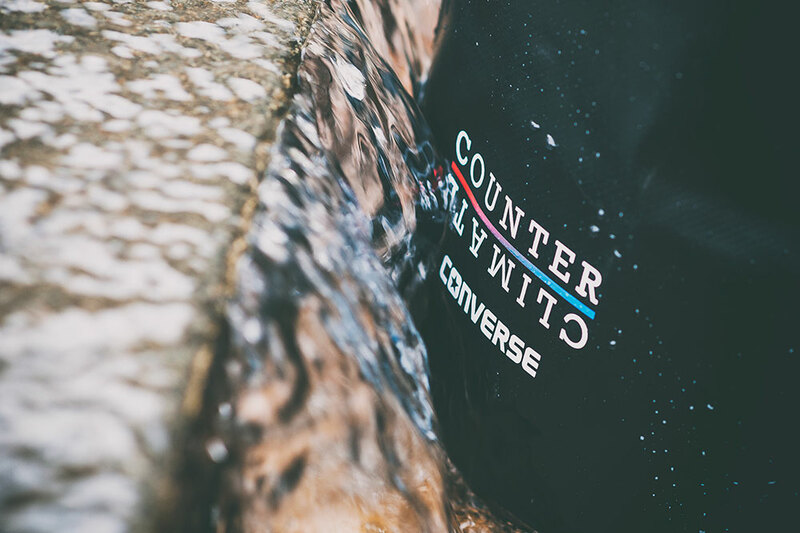 Check out your nearest Converse stockist and grab a pair of these, if you're after some all weather Cons for your rotation. 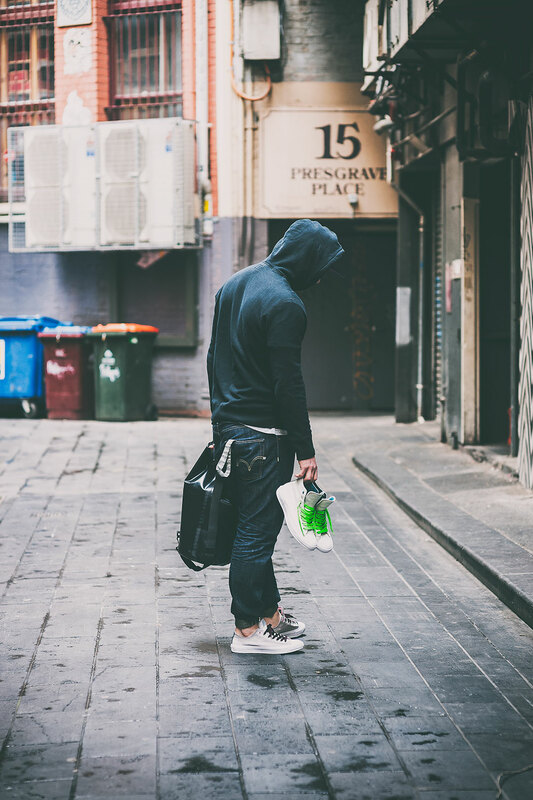 If you are you in Melbourne have a squizz at the new Converse store that has just opened in Chadstone, plenty of great stock to choose from.